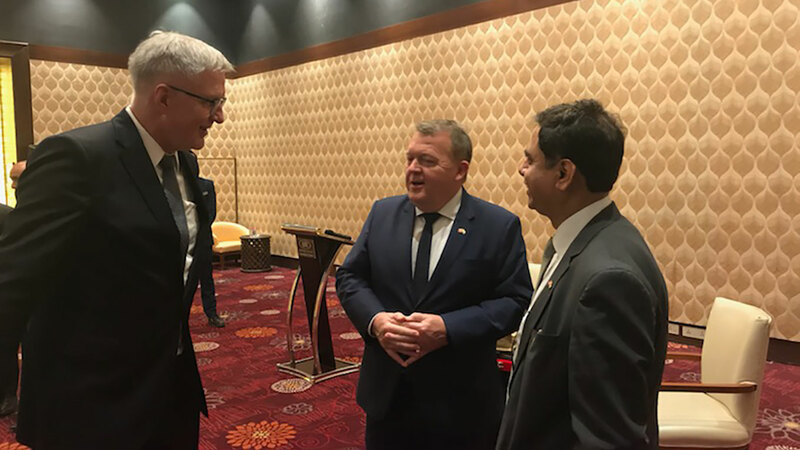 Søren Holm Johansen, Executive Group Director, and Sanjeev Kapoor (left), country market director, both from Ramboll, were part of the Danish business delegation, led by Danish Prime Minister Lars Løkke Rasmussen, during Vibrant Gujarat, last week. The solutions to the challenges of urbanisation utilised by cities like Copenhagen are not confined to the Nordic countries. They can be used all over the world, also in developing countries such as India. Contributing to the UN’s Sustainable Development Goals isn’t just an ethical obligation for companies, it also makes business sense – for themselves and their clients. Engineering consultancies have a major role to play in solving some of the world's biggest challenges, according to experts. Read more on our section for Sustainability and Corporate Responsibility. By Sarah Katz and Michael Rothenborg. It is part of nearly every landscape on earth today. The steel tower that enables wireless communication, mobile connectivity, television antennas and even radio broadcasting. India is no exception, with close to 500,000 towers across the country. Ramboll has contributed to the design of 150,000 of these – nearly a third of the total. And through a leaner, more steel efficient design that reduces the total steel use with nearly half a million tonnes, the Ramboll towers reduce the overall tower carbon footprint with 1.37 million tonnes CO2 – the equivalent of more than 250,000 passenger vehicles driven for a whole year. This was one of the solutions that Ramboll’s Group Executive Director Søren Holm Johansen highlighted during last week’s Vibrant Gujarat conference, where 15 partner countries were represented along with six other Indian states. The conference, which was inaugurated by Indian Prime Minister Narendra Modi and attended by a Danish business delegation led by Danish Prime Minister Lars Løkke Rasmussen, is organized to attract investments, and the Danish contribution is especially focused on strengthening and enabling a continued sustainable development of the world’s second most populous country. Danish companies have developed expertise and knowledge within several areas that are in high and growing demand in India – including sustainable urban development, renewable energy and water technologies. Sustainable practices are an integral part of Ramboll and they are formalised through systematically working with the UN sustainability development goals (SDGs). Ramboll has set specific targets to maximise its own sustainability performance and set the industry benchmark; and the 17 SDGs are an integrated part of Ramboll’s business strategy.